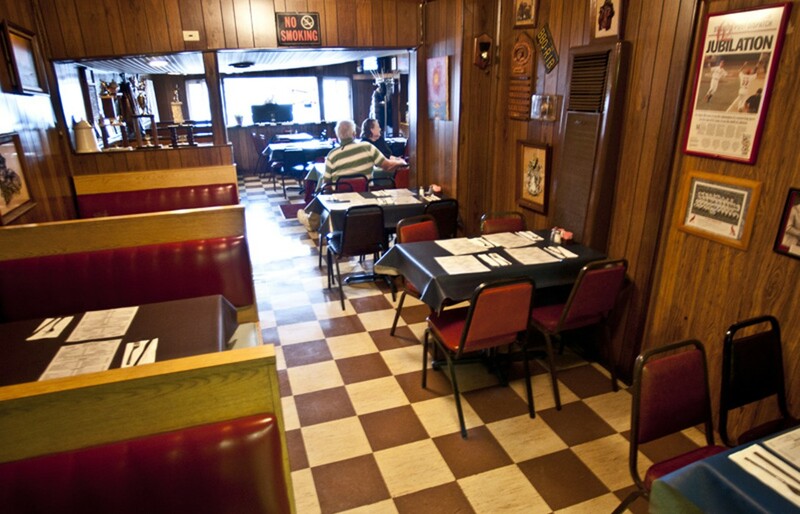 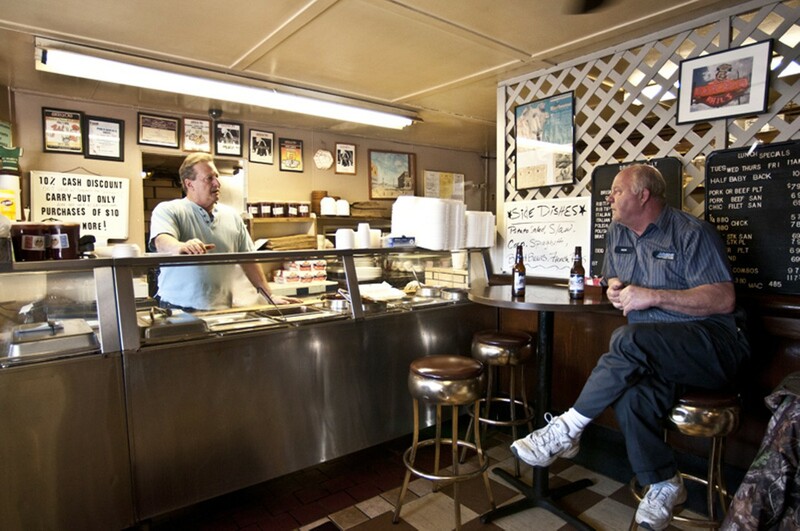 The patron saint of the St. Louis stewing style (allowing the meat to simmer in the sauce as a finishing touch), Phil's has been packing them in for some 40 years now. 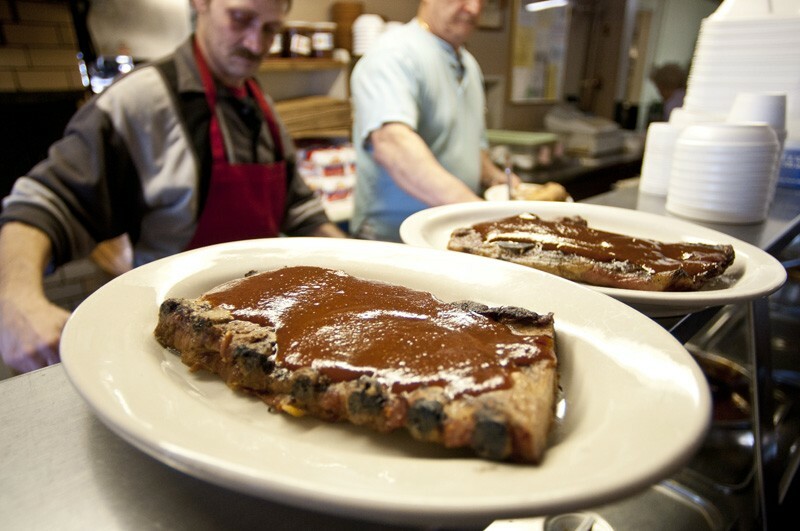 The sauce at Phil's has an aroma of pumpkin-pie spice, and a finish that truly does stick to your ribs. 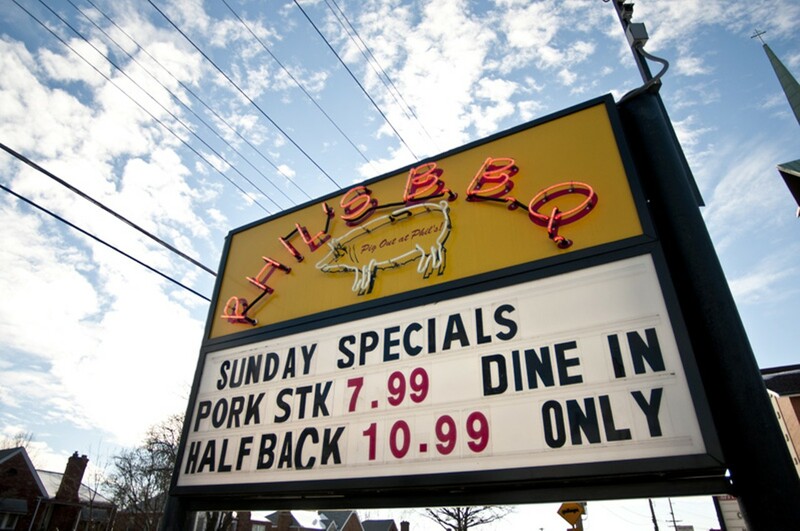 A full slab will run you $19.45.